The Blessed Teresa of Calcutta. 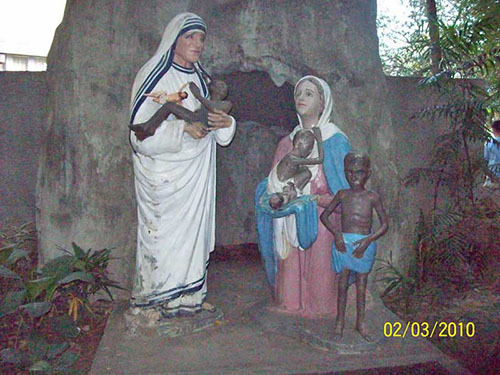 The life size statue of Mother Teresa was found at the compound of Shrine of the Divine Mercy in Marilao, Bulacan. This photo was taken during my son’s school field trip in 2010. This entry was posted in Inspirational and tagged Mother Teresa statue, Shrine of the Divine Mercy on November 2, 2013 by Yami.